Your donors are already traveling—shouldn’t they be traveling with YOU? Unlike most tour companies out there, Transcendent Travel understands and is passionate about creating opportunities for donor cultivation on tour partnerships with charities and non-profit organizations. Your donors are already traveling, sometimes on an annual basis and imagine how great it would be to give those who support you an unforgettable travel experience. How do development tours work? You obviously don’t have the huge amount of time or expertise to put together a donor tour, so leave all of the detailed planning and logistics to us. We can customize a high-quality tour surrounding your mission or product, and will customize a full color tour brochure, as well as a custom tour logo. Then, you offer the tour to your donors/members. All the reservations and payments are conveniently handled via our offices and toll-free reservation line, alleviating all of the calls coming directly to you. In return, you will receive a per-person commission as well as complimentary spots on the tour for your staff—allowing you to cultivate your donors, all while our experienced staff is handling all the details. Transcendent Travel understands donor cultivation, and we will setup the perfect chance for you to be with your donors and provide them with an unforgettable travel experience. We have partnered with arts organizations, non-profits, PBS stations and entertainment companies including Acorn TV to produce a unique tour titled “The Best of Acorn TV Tour of England”. Have questions? Email us at info@transcendent-travel.com, we'll be happy to assist. For other details about our development tours download this pamphlet. 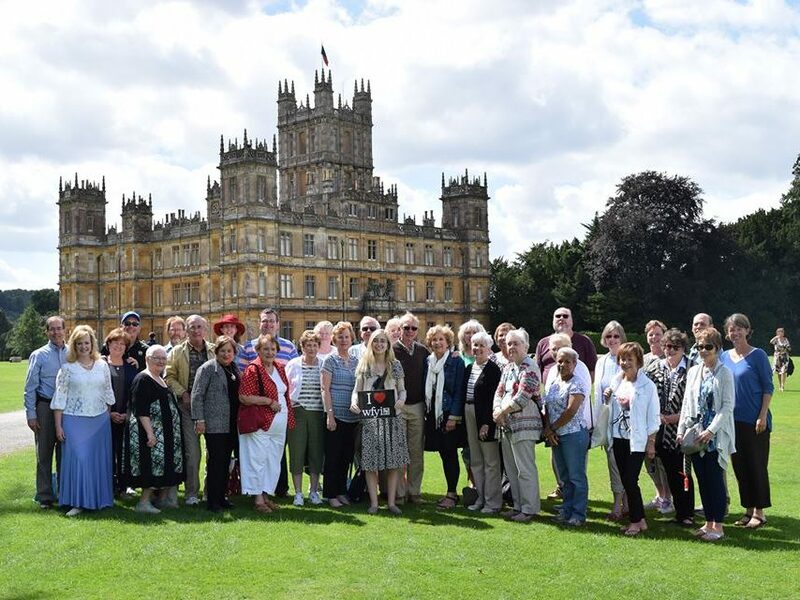 This 7-Day Tour of England features a rare, private tour of Highclere Castle with a reception and an elegant luncheon in the State Dining Room as seen on Downton Abbey. Take a behind-the-scenes look at Downton Abbey, To the Manor Born, Doc Martin, Poldark, Victoria and Wolf Hall. If you ever wanted to get inside your TV and be there in real life – now you can! A 7-day tour of England to remember! Walk through seaside villages, explore castles, and visit the Roman baths, as you travel between Windsor, Bath, Devon, Port Isaac, Sidmouth, and London. From touring Windsor Castle, to taking high tea, to uncovering the charm of Cornwall, this exclusive trip includes time for you to enjoy dining and shopping on your own as well as fun group meals and outings. We’ll be touring the locations associated with Downton Abbey, Doc Martin, Wolf Hall, Poldark, and the home of Agatha Christie. This will be THE trip you won’t want to miss! Traveling is about creating a blend of unique experiences, paired with delicious meals and superior accommodations. In this tour you can be assured of all three. We’ll be touring the locations associated with Downton Abbey, Doc Martin, Wolf Hall, Poldark, and the home of Agatha Christie. This will be THE trip, and not to be missed.